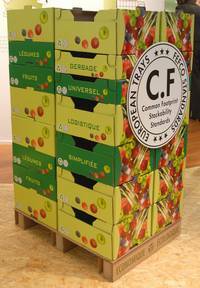 The Common Footprint (CF) is a Europe-wide standard that guarantees safe and efficient stacking of all fruit and vegetable trays. 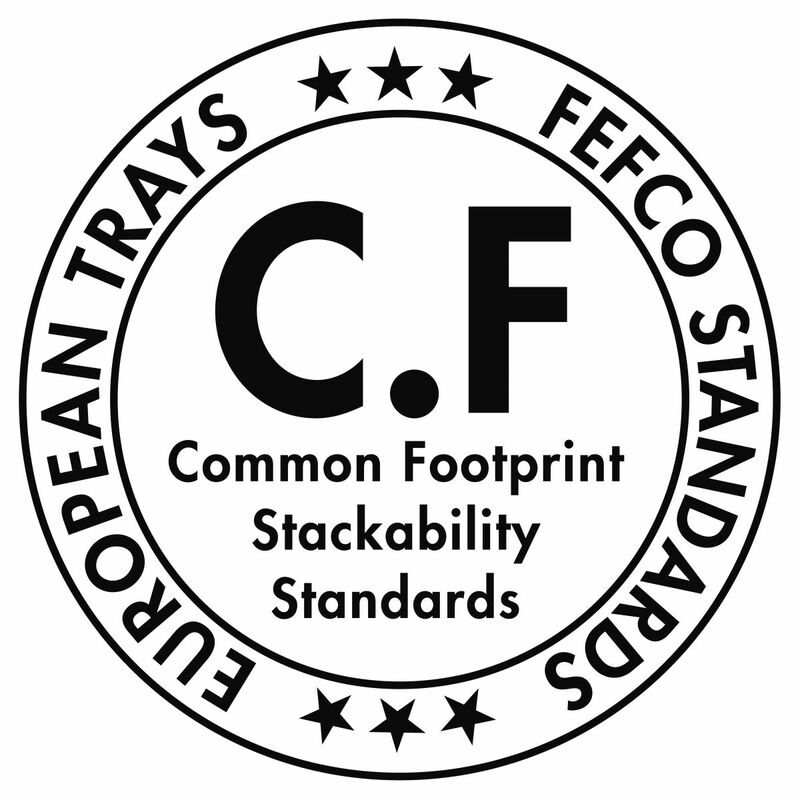 The Common Footprint stamp (CF stamp) clearly marks trays that adhere to this FEFCO standard: it is printed on the sides of the boxes. 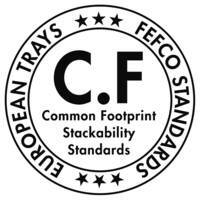 The use of the CF stamp is confined to producers whose trays meet the strict technical specifications defined by FEFCO. These specifications make sure that trays have identical base sizes and that all will fit onto the common pallet or half pallet without wasting precious space. The CF stamp shows when stacking is safe and efficient: the fixed base size guarantees stackability and efficient use of the pallet footprint. Interlocking tabs and matching receptacles at the sides of the boxes give added stability – and the height can be chosen to suit the product. Right through the supply chain, Common Footprint trays from many different producers and countries can be stacked safely and quickly, whilst the ability to vary the height of the tray makes the most of pallet height. Standardised bases and variable heights make the best of every millimetre of space, so that more fruit and vegetables can be transported on one pallet and in one lorry, using less fuel. Common Footprint trays also save space in distribution centres and help the retailers get the produce on display in the shop in perfect condition. Please read the below text before downloding the CF Stamp. All manufacturers that use packaging, fulfilling the technical requirements as described above are free to use the stamp on packaging made out of paper, solid board and corrugated board. The FEFCO CF Stamp shall be conspicuously placed on all packaging (on the bottom of the packaging/tray or where ever it is visible). Recommended minimum symbol diameter is 40mm. It will be leading on all others bottom printing. Any mismanagement of the FEFCO CF Stamp will become an action of an injunction.